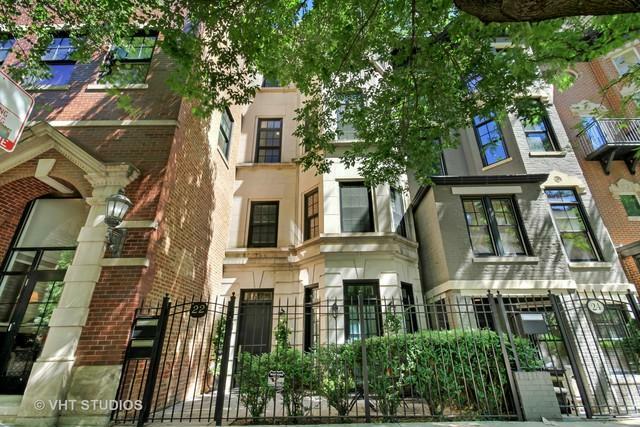 Sophisticated and sleek Gold Coast duplex with private entry is an urban oasis in one of Chicago's most premiere locations. 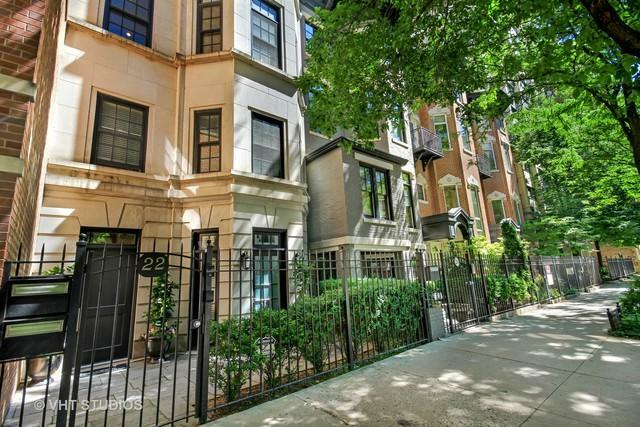 With 3,000sqft, 3 spacious bedrooms and 2.5 baths, this unit lives like a single family home. Incomparable outdoor space with over 1,000sf for entertaining with two amazing roof decks with gas, electric, water and speakers and a fabulous, sun-drenched rooftop atrium. A true chef's kitchen, professionally designed with top of the line appliances, Viking/SubZero/Miele/Bosch, marble countertops, chic white custom cabinetry and a breakfast banquette perfectly situated in an alcove. 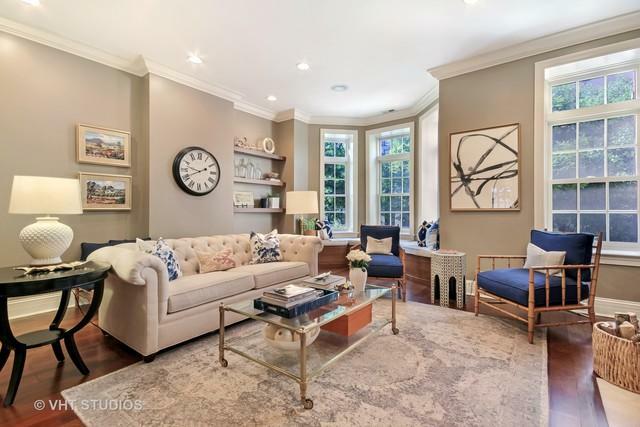 Family room off the kitchen boasts gorgeous dark wood built in, a wall of windows w/custom shutters. 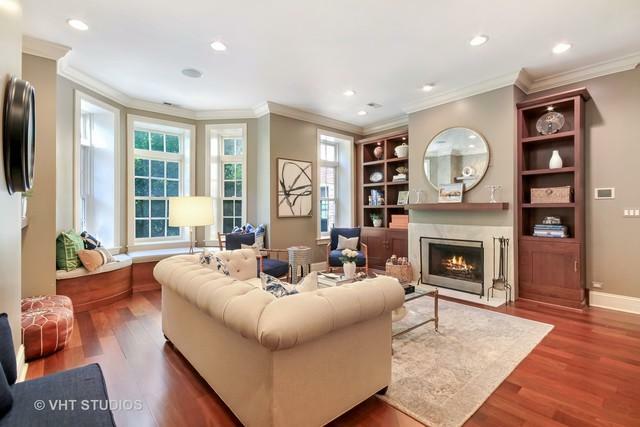 Formal living room features a wood burning fireplace with classic marble surround, built in cabinetry and a bay window with seating overlooking the tree-lined street. Huge master suite w/luxurious master bath. Tons of storage and closet space. SONOS wired throughout.